Today, Disneyland is known as "The Happiest Place On Earth." But on its opening day, it was known as "Walt's Folly." Walt Disney's vision of a friendly, educational, and magical amusement park was made a reality in just one year – a back-breaking and mind-bending timeline for such a massive project. Disneyland opened on July 17, 1955, on what came to be known as Black Sunday. What went wrong when Disneyland opened? Nearly everything. The list of Disneyland debut disasters was long. From a lack of food to raging heat to counterfeit tickets, the problems were endless. The only thing missing was a Disneyland death. The first fatality at the park didn't occur until nearly 10 years later, in 1964. Thousands of guests were miserable in the less-than-ideal conditions, but that didn't stop them from staying long past their assigned ticket times. 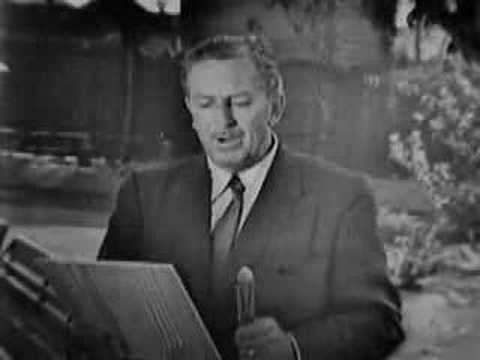 It also didn't stop people from coming back to visit the park as more rides opened, and within weeks Disneyland had gone from disaster to the success Walt had dreamed about. Although Walt Disney and his crew raced to meet his deadline, not all of the rides ended up being finished by the time the park officially opened. Most of the rides in the futuristic Tomorrowland, such as the Rocket to the Moon, were closed, as well as the Peter Pan and Dumbo rides. However, this didn't seem to hold people back from enjoying the rides that were already in use, and actually gave them a reason to come back to visit throughout the year as more attractions opened. Depending on who you ask, attendance on opening day should have been between 5,000 and 15,000 people. Unfortunately, the private invitations that were mailed out had been counterfeited, and over 28,000 people showed up. To make matters worse, there was even one entrepreneurial man who used a ladder to sneak people in at $5 a head. Because there were so many more guests than expected, the planning that had been done for the food vendors became irrelevant. They quickly ran out of supplies, leaving thousands of people hungry and thirsty throughout the park. The problem was only made worse when people who had passes that expired at 2:30 p.m. did not leave to make room for the ones who had later time stamps. While workers rushed to finish planting trees and painting buildings, they overlooked the large amount of weeds that were popping up along the banks of the Canal Boats of the World ride. As a quick fix, they decided to put little signs with fancy Latin names next to some of the plants. The goal was to give it the look of an arboretum instead of a heap of weeds.